DON’T PARK IT. DONATE IT! The American Red Cross operates a vehicle donation program with Insurance Auto Auctions (IAA) that converts unneeded vehicles into Red Cross donations to help those in need. The program with IAA’s Donation Division is available to supporters in all 50 states. The program offers an easy donation process with convenient, free pick-up and towing and a tax-deductible way to dispose of unwanted vehicles. To donate a vehicle, contact the Red Cross online at redcross.org/cardonation or call 855-92 RC CAR to make arrangements. IAA representatives will pick up your vehicle at a time that’s convenient for you, at no cost to you. They will then provide a tax receipt on behalf of the Red Cross and sell the vehicle, sending the proceeds directly to the Red Cross. The program accepts cars, trucks, motorcycles, RVs, boats, snowmobiles, jet skis, tractors, farm equipment and more, in almost any condition—even salvaged. Contact your tax professional for details about tax deductions for vehicle donations. 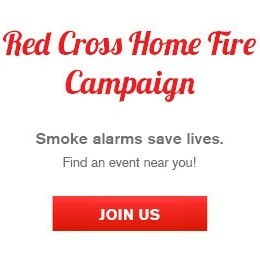 For more information, visit redcross.org/cardonation.